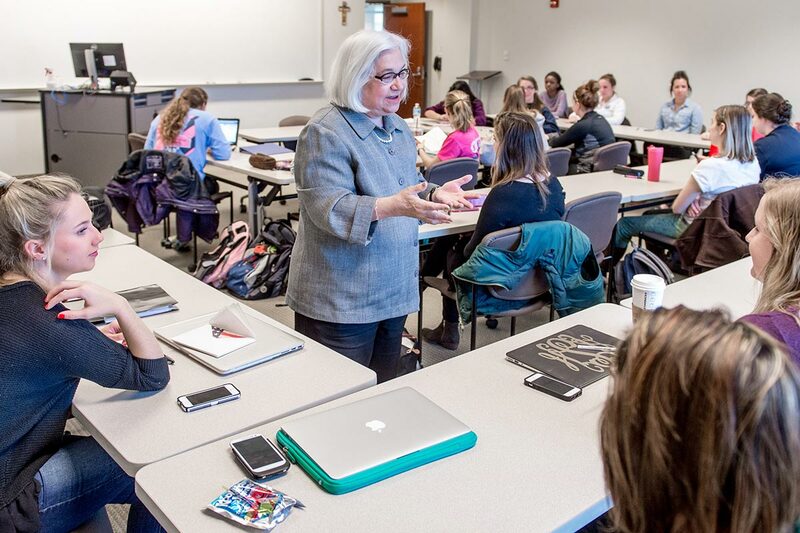 "Saint Mary's prepares you for a life of success, no matter what that means to you." "I use my Saint Mary's education every day. Both in graduate school and now, I constantly have to think critically, problem solve, assume leadership roles, and mentor others. Saint Mary's not only gave me those skills, they gave me the confidence to use those skills in the real world." Christina took advantage of her education, and has since succeeded expectations both in the classroom and in the workplace. As a woman, she feels as though the College gave her the confidence to grow as a leader. "Saint Mary's prepared me for life after college by making me an independent woman. I went to graduate school and was able to work independently in my lab, communicate with my advisor when I had issues or questions, and be efficient and productive without much guidance." Christina gives credit to the faculty she encountered during her four years at Saint Mary’s, because they push students to succeed both personally and academically. Sometimes bonds don’t form in chemistry, but at Saint Mary’s, bonds will form. Christina appreciates all the relationships she formed during her four years. "They tell you when you come to Saint Mary's that the friendships you develop there will be unlike any other. I never truly understood that until I left Saint Mary's. And your fellow Belles, whether you know them well or not, will be the biggest support system you will ever have. My Belles are my friends for life." Written by media relations intern Theresa Wojnar ‘17, a communication studies major with a minor in advertising and public relations.